The UTZ hazelnut program is now five years old. In those years, the program has grown from four to 100 market members and expanded beyond Turkey to other hazelnut producing countries. One of those countries is Georgia. On a recent trip there, we met up with two UTZ certified hazelnut farmers, Maka Gergedava and Nana Gamisonia, to hear their stories. 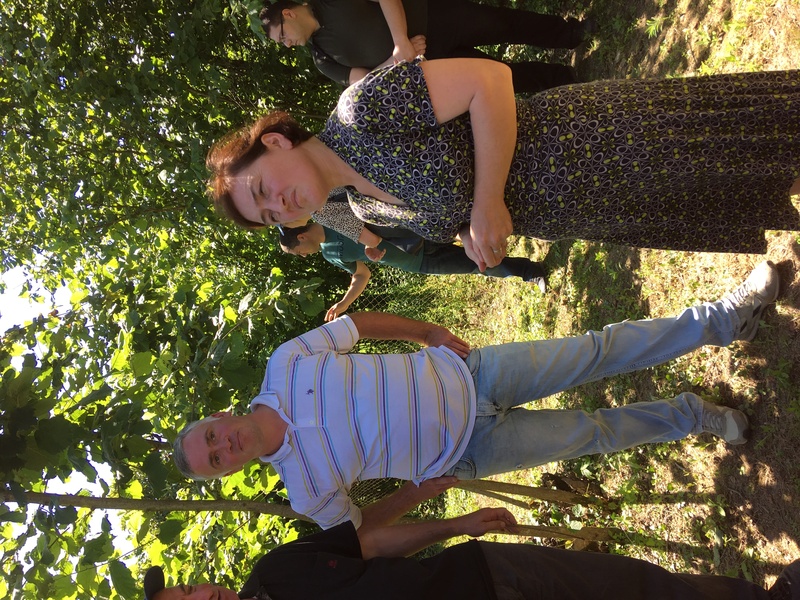 Read on to find out how certification is impacting their lives and to learn more about UTZ hazelnut production in this region. Georgia is a growing hazelnut producing country. Within Georgia, Anka Fair Trade is a hazelnut processor and exporter with an UTZ certificate that covers 11 cooperatives with a total of 753 hazelnut farmers in the country. Elkana is the Georgian NGO that has been setting up the hazelnut cooperatives for Anka. Additionally, they support and train the hazelnut farmers to be compliant with the UTZ Code of Conduct. Cooperative Edelweiss is one of the cooperatives established by Elkana. It has 56 members, most of whom are female. Based in Pakhulani, a small town in western Georgia, Maka Gergedava has been a member of the cooperative for three years. She owns two hazelnut plots she inherited from her family: one is a ½ hectare lot across from her house and the other is a smaller plot in the mountains. Together they produce around 1,000 kg of certified hazelnuts per year. 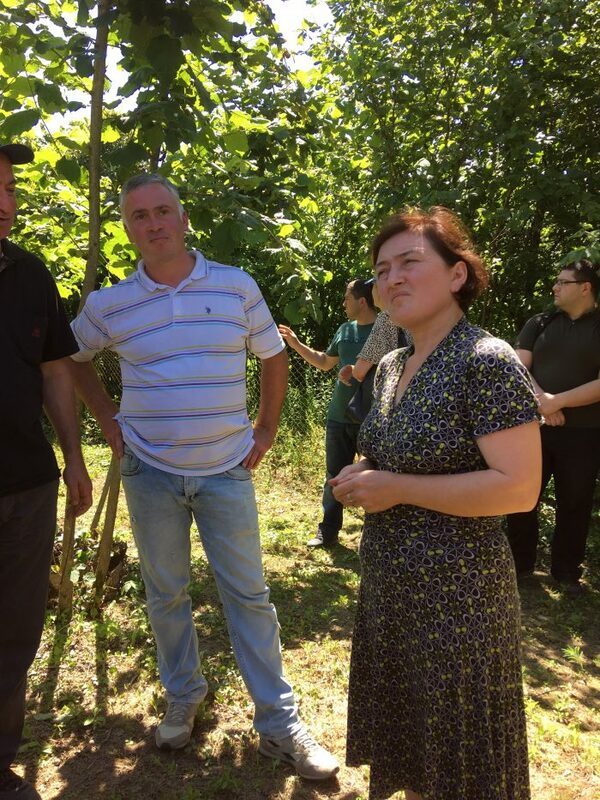 She told us how becoming certified has improved her harvest, helping her produce healthier, higher quality hazelnuts. “I received training on how to treat the orchard differently,” she said. “I now clean the orchards to avoid fungus and pay more attention to pruning the trees.” Maka also now uses only organic fertilizer and pesticides, and the cooperative provides her with equipment, including a tractor, to help with the planting and harvest. Maka only works on the orchards two months out of the year, spending the rest of her time working in a cultural center in town. During the ten-day harvest in August, her family helps her collect the nuts, so she doesn’t need to hire any additional labor. 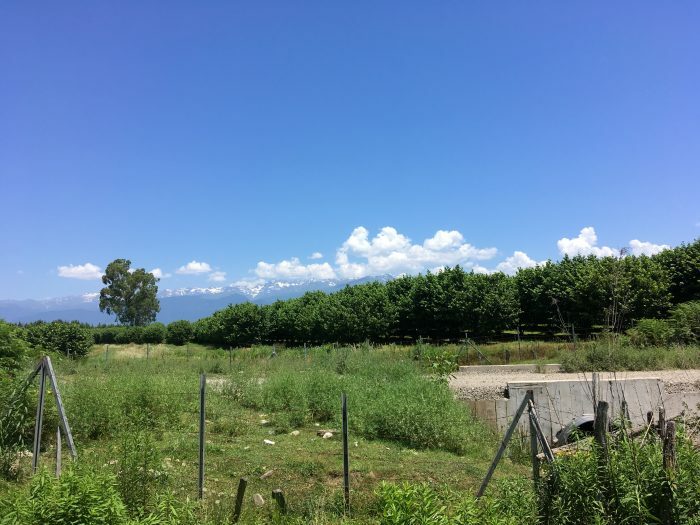 Close to Zugdidi in Western Georgia, the main hazelnut producing area of the country, is Nana Gamisonia’s farm. Nana owns a one-hectare hazelnut orchard originally planted in the 80s by her husband and replanted in 2000. Hazelnuts are her main income while her husband also has some part-time jobs. She’s been UTZ certified for three years. Last year, Nana’s house burned down and she suffered from a low yield per kernel of 31%, meaning that the nuts inside the shell were smaller than average. She recalled this data to us by heart as her documents were all destroyed in the fire. Despite these hardships, Nana has rebuilt, building a smaller house on the same plot, and is looking ahead to this year’s harvest. “A true benefit of being a part of the UTZ program is that I’m now supported by an NGO that is helping me build up my hazelnut production again after the fire,” she explained. She is expecting a higher yield this year. Nana is a part of Cooperative Lazi, which has 254 members and offers services like transportation and providing farmers with bags to use during production and harvest. They also check for humidity and quality, lend husking machines to the farmers and assist with spraying to fight insects, using organic pesticides. During the harvest, Nana hires laborers from her region. Every morning around 5 am, workers gather in small groups in the market to offer their services to farmers. “Women know all about the farms,” Nana told us when asked why there were so many women in the coop. With the information on better farming and business practices gained through certification, this knowledge is only increasing. Want to learn more? Read more about hazelnuts and the sustainability challenges. Ready to join our hazelnut program and start sourcing hazelnuts for your cocoa products? Contact us for a chat!